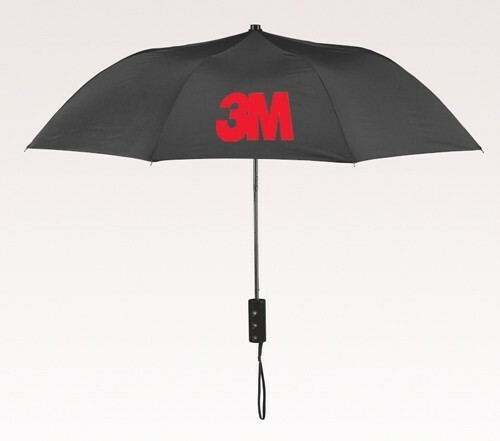 Personalized black 42” arc 2351 MM revolutions umbrellas are simple, yet they exercise great influence on minds of all those who are seeing it from close or distance. 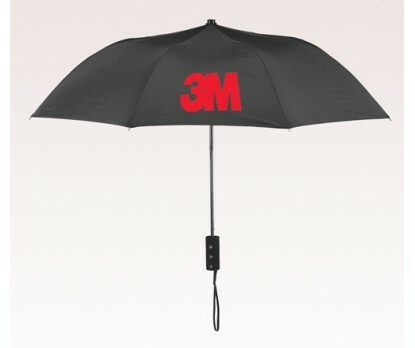 This umbrella is favored for business gifting by marketers who are starting up new or wish to thank their existing customers in a special way. This umbrella is one of our best sellers and it is sought for personal gifting, too. Features - 42” arc black canopy, folding umbrella with new wind reflex frame, black rubberized handle and strong steel shaft and. Auto open function. 42” arc folds down to 15.5. Available Colors : Beige, Black, Brown, Fuchsia, Gray, Pink, Purple, Red, Royal, Hunter, Lime Green, Navy, Orange, Teal White, Wine, Yellow.